Everyone wants to create backlinks for their new blog or website. We will help you in getting your first few quality inbound links. Back links are very important factors in search engine optimization. If you are new and wants to learn building in easy way then read this post thoroughly. In this post we will help you in getting your backlinks at free of cost. Did you know "building backlinks from the very first day is one of the popular quality of professional bloggers. So, Here you can learn 5 ways of through which you can create/Get backlinks to your blog/website. This is the most common term in 'Search engine optimization' niche. Most of the bloggers use to post their best articles on Popular sites in order to get backlinks for their website. You can also post your popular articles as guest posts on other blogs to get direct dofollow backlinks. However some blogs don't provide Do-Follow type Backlinks, but don't worry if a No-Follow link is coming from a good source then it will really help you with good traffic. Also having more Do-follow links can attract penalties from Google, so it is good to get some No-Follow from High DA and PA sites. So what is guest posting actually is ? In simple terms a guest post is writing articles for popular websites as one of guest of their site. How to get backlinks from guest posting ? Bloggers who post their articles as guest post, can get one or two backlinks to their website/blogs. This technique will help users in getting do-follow backlinks & "high quality traffic" to their site. How to search for guest post enabled blogs ? You can do a Google Search for high PageRank guest post enable blogs. Example: 'Fashion blog Guest post' , or 'tech Blog guest post'. Forums are best sources of high quality inbound links and traffic. Most of the blogger register on forums related to their niche and then start building their back links just by replying other member's query. In this way blogger use to earn links as well as audience if their reply is helping readers. Forums are places for discussion on some particular topics. Users of forums usually ask their queries and others will try to solve that query. But some users ask questions in order to get backlinks. How to get backlinks from forums ? While registering on a forum you can place link to your website/blogs in About Me section. Also when you comment on forums you have option to put your website's link in signature . How to find forums related to your niche ? Again the answer is same , just google it . Example ," tech forums " for forums related to technology. Or you can see my post on " list of high quality do follow forums ". This is best + easy way of building back links. This is the most popular way which is still used by professional blogger. The technique in which a person comments on other blogs related to his/her niche and also put his/her website link in comments is known as blog commenting for link building. How to comment on other blogs ? Read post of other blogs thoroughly and then find comment box. In comment box you will find a box for Placing website's URL as a signature. Some peoples also put their links in comments to get traffic along with backlinks.While some websites will convert your http:// links as working URL while some will consider them as plain text. If you see your link is there as plain text then you should use <a href="https://www.MyWebsite.com">Mywebsite</a>. How to find blogs for commenting ? Search your query and put blog or blogspot/blog in last. So your results will get filtered and you will get required blogs on top. Example: search "tech blogs" or "tech blogspot" or "site:.blogspot.com tech" . Social media sites like Facebook,Twitter, Instagram, Google+ etc have millions of monthly active users. Social media sites can give you heavy traffic and the links are No-follow to prevent spam. However links are no-follow it doesn't mean that those links are not helpful. The more active you are on social media sites the more respect you will get from search engines.So, from first day, start sharing your website on social media channels. How to get back links from social media ? You just have to signup for social media account for Facebook, twitter, etc, then post your link in your Facebook status and twitter's tweet. Internal linking is a very popular Search Engine Optimization technique. It helps you in getting good search engine ranking because if your site have good strong internal links then you will get authority from google Crawlers. Internal Link Building is white hat SEO technique, hence there is no penalty for this. Just make sure you are linking related contents internally and you will be good with this technique. Linking to your website's contents with each other is know as internal linking. This helps in increasing page authority and page views also. How to build internal links? As in this post I had linked my other post which are related to this post, similarly, You can also add links to your other post to get high count of page views and good link juice for SEO point of view. These are top 5 ways of generating backlinks to your blog/website. 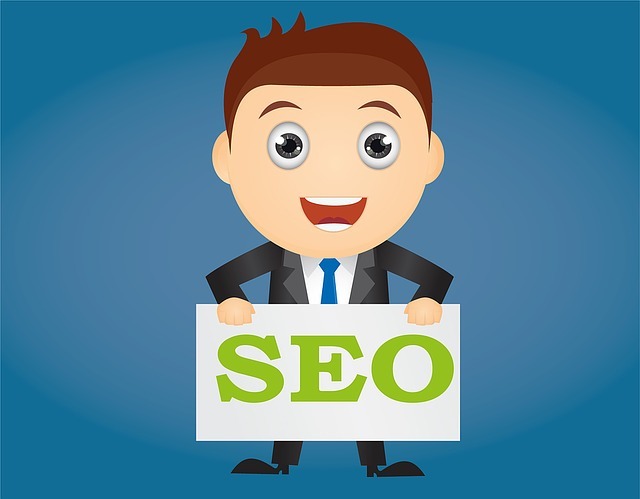 Use these methods to get success in search engine rankings. Don't do spam and only generate only few links and focus on quality of your articles. Also before leaving your link on other websites, just make sure those websites have good DA and PA. Thanks for the detailed explanation about backlinks. I am just a novice in web Development. But this helped me a lot. Now i know enough about backlinks to get my website a better rang on search engines. Cheers! Hi @ all just want you to know http://wikilink.biz provides SEO reports from ahrefs.com for free! Are link directories a valid strategy anymore? Could adding non-quality directories hurt my ranking? Wonderful post. Thanks for sharing such a valuable post. Really useful info and details too are helpful for newbie blogger like me.. Thank you.. Thanks for providing me the info.